43514 Buggy Nitro Thunder NDF01. 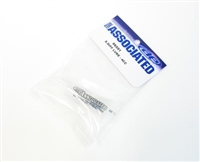 This option part is an integrated rear axle washer and 1mm spacer, which when fitted provides a reduction in deviation in the rotation of the wheel, and enables easier maintenance of your R/C car. This grease is for the thrust balls ONLY (NOT the differential balls). This is the 48 Pitch Spur Gear for the TRF201 Chassis Kit. 48 Pitch Spur Gear x 1pc. to allow fine adjustment of the bevels in your gear diff. touring cars and 4WD off-road buggies. 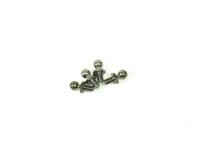 These durable, lightweight titanium screws replace the kit standard steel screws used to secure shafts on suspension arms of the TRF201, TRF511, TRF502, and XV-01 chassis machines. Take complete control of the details in your suspension! These blank pistons allow the owner to make as many holes of whatever size they like, in order to get the suspension performance they want. Compatible with items 54504/54505 Buggy Big Bore Aeration Dampers. 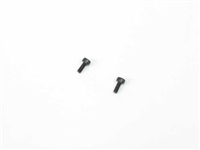 2 pieces of Ball Diff Spring for Most Tamiya Chassis. 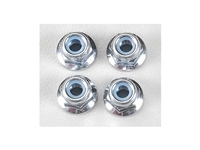 This aluminum suspension ball fits on damper ends. 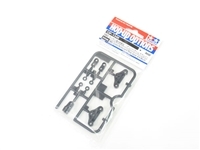 They provide enhanced damper responsiveness and durability greater than that of the standard kit parts. It is compatible with aeration damper-fitted cars and cars using Items 54504/54505 Buggy Big Bore Aeration Dampers. Carbon reinforced parts replace kit-standard resin parts to provide greater strength to the chassis. Compatible with DB02 and TRF502X chassis. 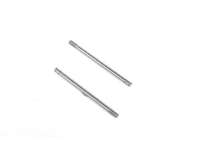 The suspension shafts that come in the DB-02 are made of steel and are chrome plated. 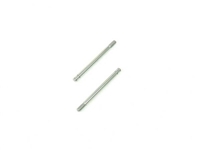 These Ho-Up-Option shafts are reinforced with a Titanium coating to protect it from dust and dirt. These shafts will also stay smooth for a longer period of time compared to the kit included shafts. Reinforced with titanium coating to protect it from dust and dirt, this shaft provides long-lasting smoothness to your suspension. TRF Sticker C is now available with a stylish mirror finish version that provides eye-catching accents to your Tamiya R/C body set of choice. These option part springs are available to further upgrade items 54504/54505 Buggy Big Bore Aeration Dampers. 3 varieties of hardness are included to allow racers to tailor their car’s suspension to the unique challenges of each course. 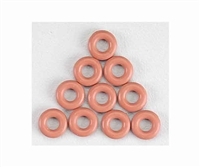 These Damper X-rings have X-shaped cross-sections and offer increased oil sealing effect compared to standard O-rings with circular cross-sections. Made from special silicone material, these X-rings also maintain their shape, and therefore their sealing ability, for a longer period of time. This makes them ideal for use with Aeration Dampers such as Item 42198 Buggy HL Aeration Damper Set and Item 54028 Buggy Aeration Oil Filled Damper Set. 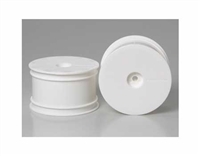 Item 42214 is designed for use with silicone damper oil while Item 42215 is for mineral based damper oil. Damper X-Ring (70 Durometer) x 8pcs. 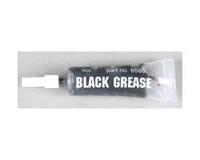 Designed for use with mineral damper oil. 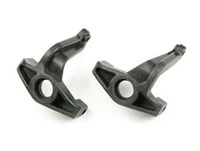 These precision-made polyacetal (POM) damper pistons offer different diameter piston holes to provide drivers with the options to create more detailed suspension settings. 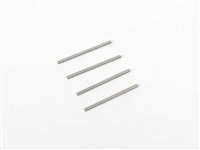 as ensure smooth suspension movement compared to regular stainless steel shafts. © Copyright 2016 Much Hobby Limited. All Rights Reserved. Built with Volusion.